Google Nexus 7 (2013) 2nd generation Screen Repairs Announced! We are happy to announce that we are now repairing the Google Nexus 7 (2013) 2nd Gen tablets! They are the World’s sharpest 7″ tablet screen at 323 ppi and boast a powerful battery, up to 9 hrs of active use. Quad-core speed and performance and powered by Android 4.3, making this new tablet desirable to the masses. At less than a $300 price tag, it’s affordable too. Until today, an affordable repair service has not been available…this is where Mission Repair steps in. We have secured a great supply of these screens for anyone that has a cracked Google 7-inch tablet. Any questions? Just give us a call at 866-638-8402, and we’ll be happy to help. Thanks to my support staff for securing this service, until today we had been turning away customers and are now happy to assist. You are most likely visiting this page due to a Google search that you just completed. You might of searched for “nexus 7 cracked screen repair”, “nexus 7 screen repair” or even “nexus 7 replacement screen” and found this awesome blog post! We at Mission Repair know what you are going through at the moment. You just dropped your Google Nexus 7, cracked the screen and are frantically trying to find a way to have it repaired or replaced! Let me start by saying that you have completed step 1: you found Mission Repair! We are not two guys in our parents basement – We know everyone has to start somewhere, but there is a risk by taking your device to be repaired by someone who is most likely not practicing business legally. Come walk into our location 7 days a week to have your Nexus 7 repaired! Ok, on to step 3, getting the service ordered! We make it very easy for you on this step. Simply click here: Google Nexus 7 (1st Gen) Front Glass Screen Repair Service to get started! Choose your shipping and turn around options, send it in and you will have that cracked Google Nexus 7 screen repaired in no time! You also have the option of bringing it to our repair lab personally! We are in the Kansas City area, open Monday-Friday 8a-5p and Saturday-Sunday 10a-5p! 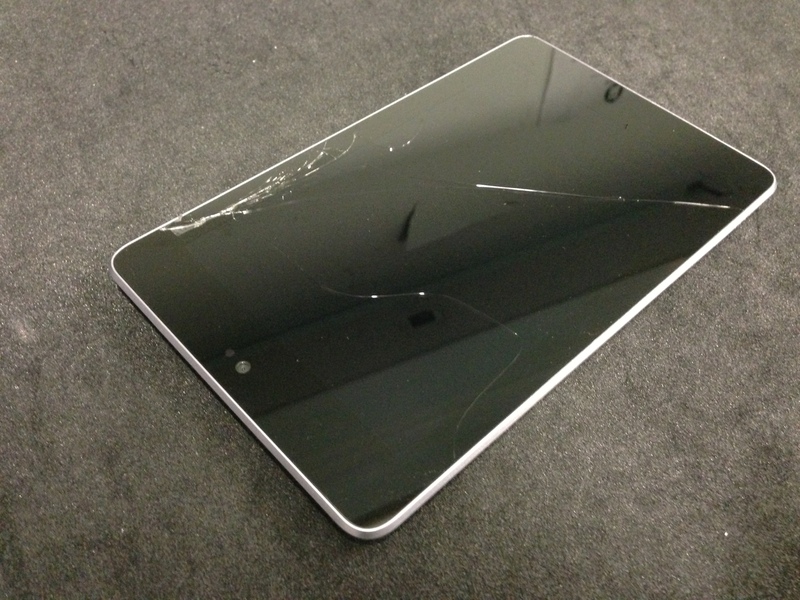 Drop it off and come back within hours to a repaired Nexus 7! Step 4: Start living your life like normal again! Nexus 7 Cracked Screen Repair! 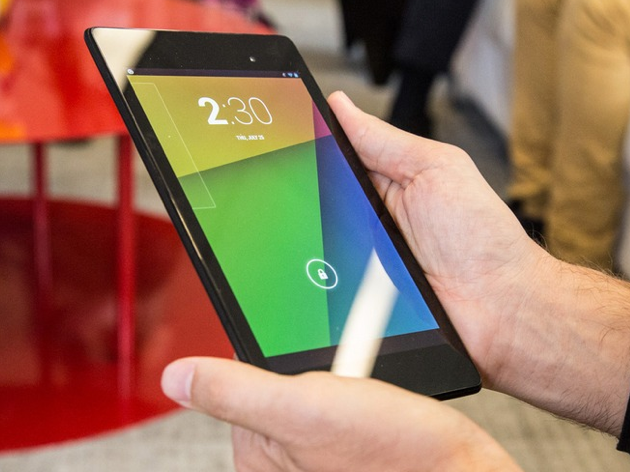 Hello M:R Nation – Did you know that your Google Nexus 7 tablet is repairable? It doesn’t matter if it has a small crack in the glass, large crack in the glass, bad LCD screen or no touch function. With our Google Nexus 7 Screen Repair service, we can fix all of that! Our highly skilled, professionally trained technicians will remove the remnants of your broken screen and replace it with a brand new Google Nexus 7 screen assembly! They will not skip any steps or miss a beat along the way. With our newest price decrease on this service, it definitely makes sense to choose to a repair your Nexus 7 over a replacement. You will receive YOUR device back, with all of YOUR content and all of YOUR settings still in place! That is something to keep in mind when making a decision like this. If you have any questions about this or any service we offer, please don’t hesitate to call us at 866-638-8402 or email us at sales@missionrepair.com. Nexus 7 Cracked Screen Repair + Mission:Repair = HUGE PRICE DROP! I am going to get straight to the point here. The Google Nexus 7 tablet is cool! You know that because you have one in your hand at this very moment, and If you are reading this blog post, you most likely have a broken Google Nexus 7 at that. Well, let me be the first one to welcome to the Mission:Repair blog! Beyond this page, right through this link: Google Nexus 7 Screen Repair, is the very thing you are searching for. An end to the madness that is your cracked glass. But before you click that link, let me explain the history of Google Nexus 7 Cracked Screen Repair service. We have offered this service for a great while now and we have had some mild success at helping folks with their broken screen issue. When I say mild, I mean the price was very scary and many folks just didn’t want to shell out that kind of cash. That is a very understandable notion. Why pay almost the same amount for a repair, when I could just replace it? We couldn’t argue with that. While we wanted to meet our customers price point, the cost of the part just wouldn’t let us do that… Until now! What started at the extreme price of $209, which has now tumbled down to a lowly $129!!! Yes that is 3 exclamation points that you see there. We are so excited to finally offer this repair service at a price that will suit everyone and not just the folks with the larger capacity Nexus 7’s (Which usually made it a reasonable repair)! This is one of our largest price drops in recent memory and we hope you Nexus 7 tablet owners enjoy it! So if you don’t happen to have a cracked Nexus 7 screen just yet, just make sure to bookmark this page, you never know what can happen(knock on wood). Now, you have my blessing to visit the top of the page and click that link! We have plenty of screens in stock and we are ready for you! FREE SHIPPING at Mission Repair! How much does it cost? Hello folks, happy Cyber Monday! Did you watch the news this morning? Our local channel was talking a lot about Cyber Monday and the fact that it’s the busiest day of the year for Internet sales. We are in the thick of it here at Mission Repair as we had the biggest sales weekend in the company history, and have already begun the day breaking sales records – in fact at 9:45am this morning, we’ve taken more orders than any typical Monday. It’s clear that Cyber Monday is not a typical day!! So, we are feverishly answering the phones. Truthfully, we are doing quite well. Our staff of amazing customer service representatives is getting to each call at an amazing pace. Please, if you call in and they seem to get the the point “quickly” don’t take it personally- it’s more likely that we’ve got 10 other customers waiting in out call queue and we want to make sure every gets the attention they deserve. In fact if you’ve called in this morning, I may even answer – which is a rare thing these days! Heck, I don’t mind working the front lines and I’ve already said hello to a few walk in customers and I’m not above taking care of our customers. It’s our way of life. Our free shipping option has been an amazing hit! Why didn’t I think of this sooner?!? Speaking of taking care of our customers- did you see that we are now offering FREE SHIPPING on every repair? That’s right. We are PROUD to bring you a complete solution when it comes to your iPhone or Smartphone repair- FREE SHIPPING from Mission Repair (and we USE FEDEX – the best in the business!). New Service: Google Nexus 7 Front Glass Screen Repair Service! We have been patiently awaiting the parts for the Goolge Nexus 7 like a child waiting for Christmas morning and guess what…The Google Nexus 7 Front Glass Screen Repair Service has finally arrived! The starting price for this service is $189 and it will cover you if you have a broken glass, LCD screen or both all in one price. This price, coupled with our industry leading shipping rates are sure to please. So get that broken Google Nexus 7 repaired already!